When a flower has been pollinated, there will be pollen grains that have landed on the stigma. These might be from a different species of plant in which case, nothing will happen. 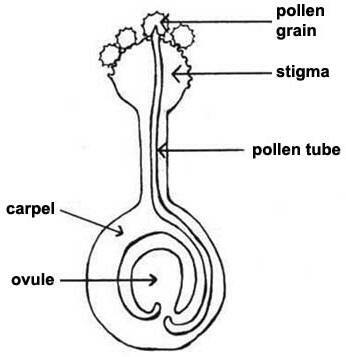 If they are from a different individual of the same species of plant, then triggered by sugary chemicals on the stigma the pollen grain starts to grow a tube called a pollen tube (imaginative people these plant biologists…..) which grows down through the style. 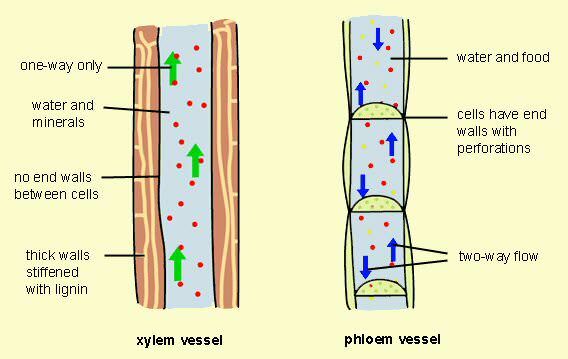 Pollen tube growth through the style is a complex process and the exact mechanism by which the pollen tube “knows” in which direction to grow is not completely understood. But it does know and grows down through the style and enters the ovule through a tiny opening in the ovule called the micropyle. 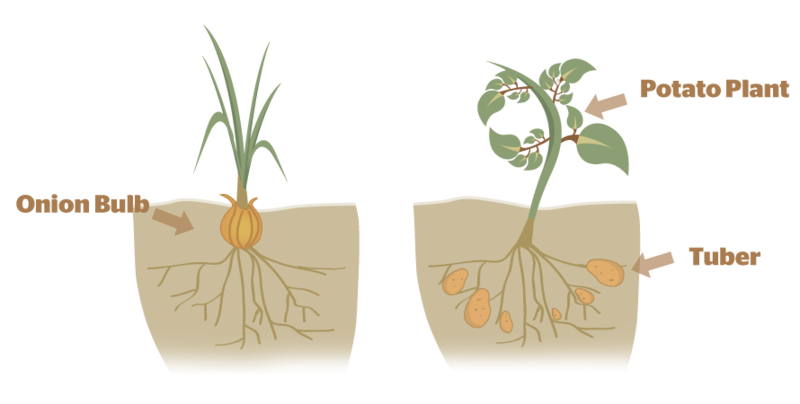 Now this is where it gets complicated …… but luckily for your exam, you don’t need to learn about the weird way plants undergo fertilisation. 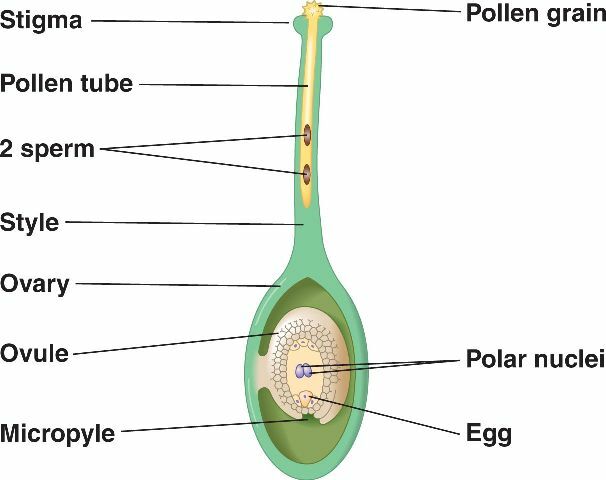 But to give you a taste, the male gamete which is a nucleus in the pollen grain divides on the way down the pollen tube to form two sperm nuclei (see diagram above). Each of these nuclei will fertilise a different nucleus in the ovule, hence the name double fertilisation. But let’s keep it simple. There is a haploid female gamete called an egg cell inside the ovule and one of the haploid sperm nuclei from the pollen grain will fuse with it in the process of fertilisation. 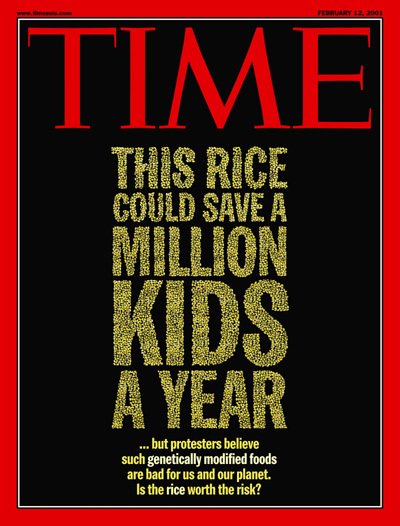 This produces a diploid cell called the zygote that will later develop into the embryo plant. Quick reminder: Haploid is a term that refers to a cell that only has one member of each pair of chromosomes. Gametes are haploid cells and when two gametes fuse they produce a cell with pairs of chromosomes and this cell is described as Diploid. The egg cell inside the ovule is now fertilised. It has a full set of chromosomes and is now called a zygote. So what happens to the structures in the flower…? After fertilisation the petals, sepals, stamens, stigma and style all dry out and wither. The ovary develops into a structure called the fruit and inside the fruit, each ovule develops into a seed. Seeds are tough structures that have evolved to allow the embryo plant to undergo a period of dormancy before the seed germinates. 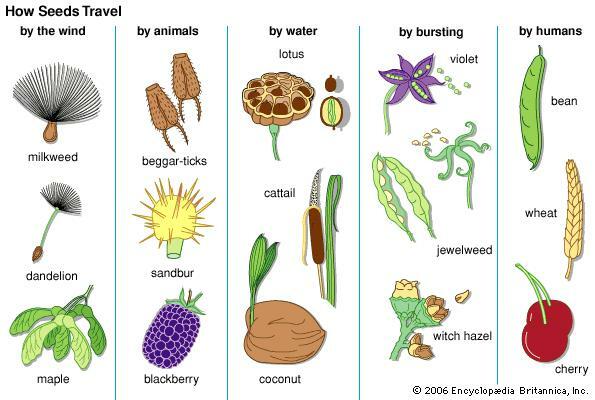 The function of fruit is seed dispersal. 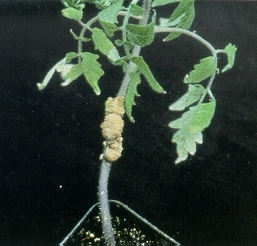 It is vital for the parent plant that its offspring do not start to grow right next to themselves as they will be in direct competition with the parent for water and minerals from the soil and for sunlight. For animals it is easy for the parent to get rid of their offspring – they simply kick them out of the nest or send them to boarding school to get them out of the house…. 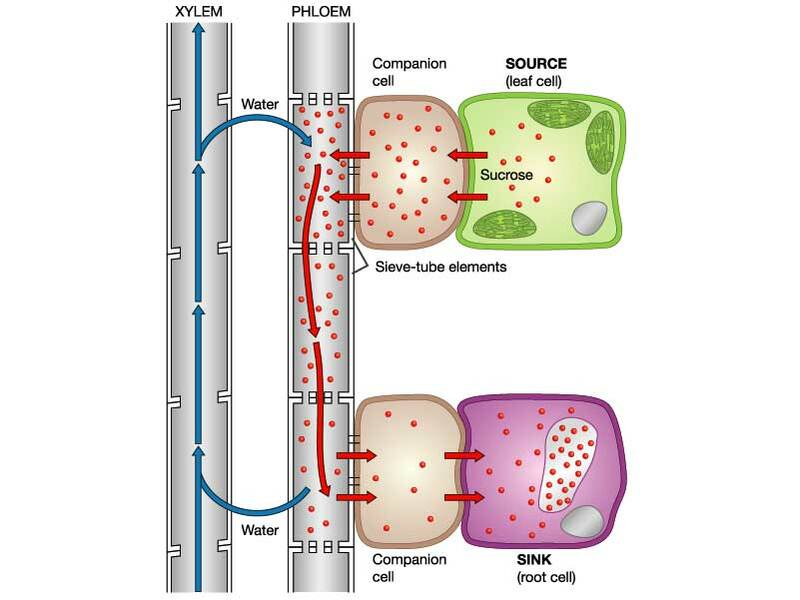 Plants need to rely on more ingenious strategies…. In some plants the fruit has evolved to disperse the seed using the wind. Sycamore seeds have a propellor blade to slow down their fall from the tree. 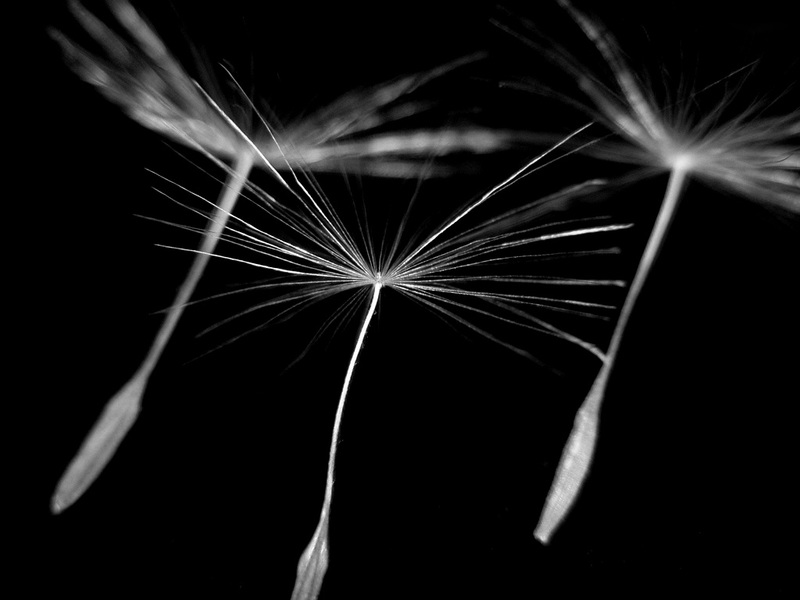 Dandelions give each seed a tiny parachute and can be carried for many miles in the wind. It is really important not to get confused between the role of animals as pollinators of flowers and their separate role in seed dispersal. Keep these two processes (pollination and seed dispersal) clearly separated in your notes and in your mind. In the stress of the exam, candidates often get muddled and so write nonsense….. This is something to avoid if possible! PMG tip: organise your notes on plant reproduction into the following subheadings to keep things separate. It is disappointing that Viruses are added as a sixth group in this section of the syllabus. Viruses are not classified as a Kingdom of living things as they are not made of cells and have no metabolism. Bacteria are small, single celled organisms that are made of a fundamentally different kind of cell to all the other Kingdoms. Bacterial cells are described as being prokaryotic: they are smaller than other cells, have no nucleus and no membrane-bound organelles (such as mitochondria or chloroplasts). Bacteria cells have a cell wall containing a cell membrane but their cell wall does not contain any cellulose. Instead the bacterial cell wall is made mostly of a molecule called proteoglycan a molecule is only found in bacterial cells. 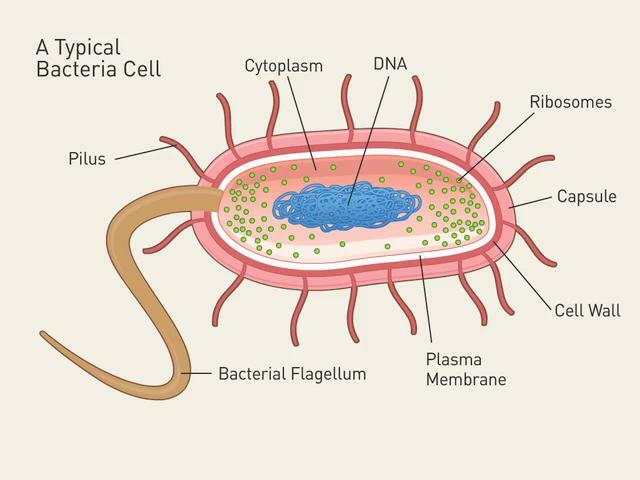 Bacteria cells contain DNA (all living things use this molecule as their genetic material) but the key idea is that bacterial DNA is not contained inside a nucleus. Bacterial DNA is in the form of a single circular ring that just floats around in the cytoplasm of the cell. This circular ring of DNA is sometimes called the bacterial chromosome (but I dislike this term as the DNA molecule in bacteria is not wrapped around a scaffold of protein as in eukaryote cells). Some bacteria contain small additional rings of DNA that are called plasmids. 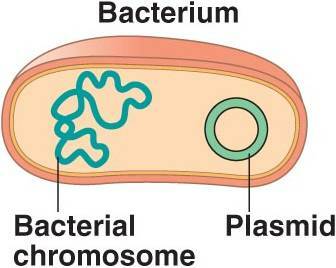 These plasmids can be transferred from one bacterial cell to another, and can also be used as a vector in genetic engineering. 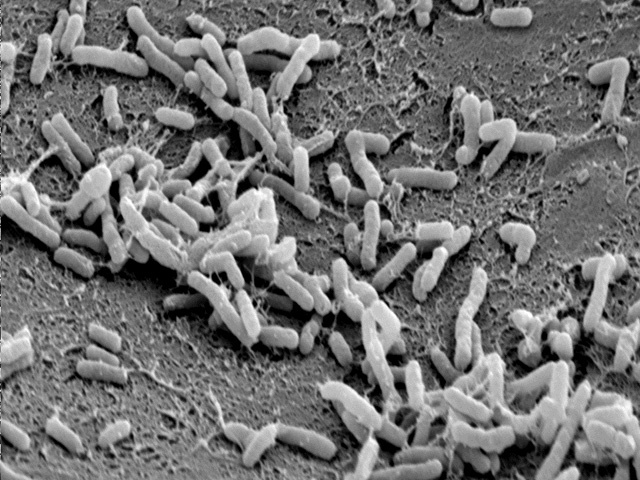 Examples of bacteria mentioned in the specification are Lactobacillus bulgaris a rod–shaped bacterium used in the production of yoghurt and Pneumococcus, a spherical bacterium that is the pathogen that causes the infectious disease pneumonia. Remember that some bacteria are autotrophic and can carry out photosynthesis but most feed by absorbing material through their cell walls. Animals by definition are multicellular organisms. Animal cells do not have a cell wall and do not contain chloroplasts and so cannot photosynthesise. Animals are often able to move from place to place and have a nervous system. Animal cells can store carbohydrate in liver and muscle cells in the form of a storage polysaccharide called glycogen. The examples of animals mentioned in the specification are humans, housefly and mosquito. The plant kingdom also contains organisms that are multicellular. 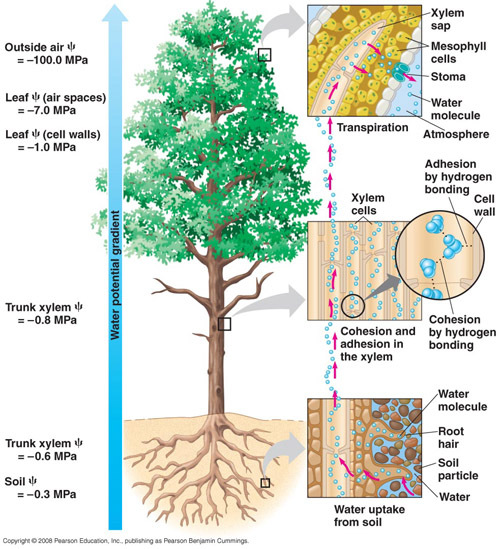 In contrast to animals, plant cells do photosynthesise and do contain chloroplasts. 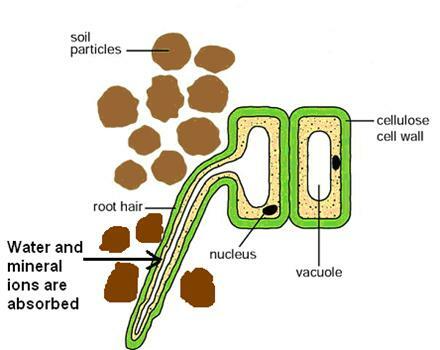 Plant cells have a cell wall made of the polysaccharide cellulose. Carbohydrates are stored in plant cells in the form of starch and are transported in the phloem as a sugar called sucrose. 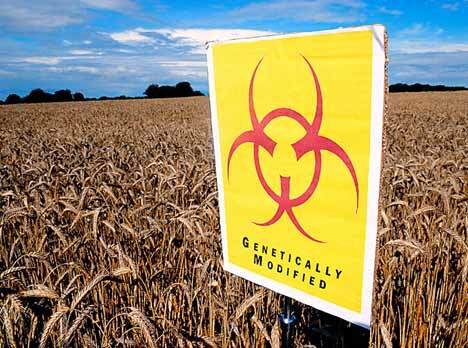 The examples of plants mentioned in the specification are maize, peas and clover. Maize is a wind-pollinated flowering plant and peas and clover are interesting because they are leguminous plants. 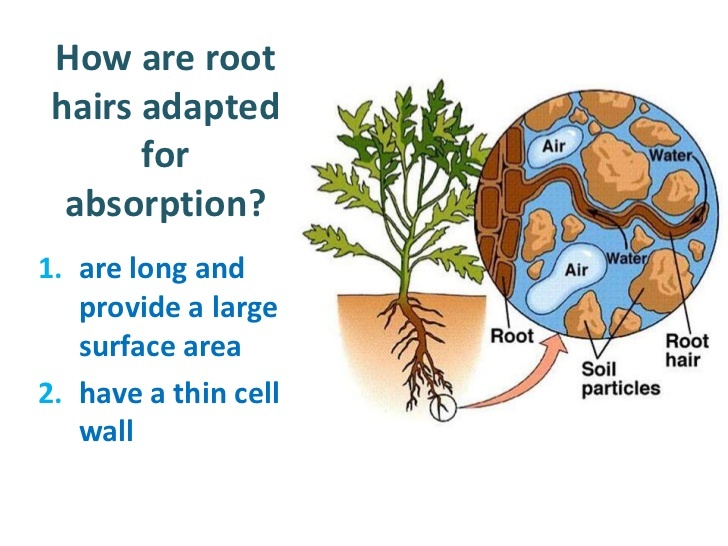 If you remember your work on nitrogen-cycle from E summer, you will know that leguminous plants contain root nodules that contain nitrogen-fixing bacteria. Fungi are a group of organisms that include moulds, mushrooms, toadstools and yeasts. They are made of cells with a cell wall made of chitin and a nucleus. Fungi do not photosynthesise and do not contain chloroplasts. They feed by secreting digestive enzymes onto the food material they are living on and then absorbing the products of digestion: a process called saprotrophic nutrition. Fungi store carbohydrate in the form of glycogen. 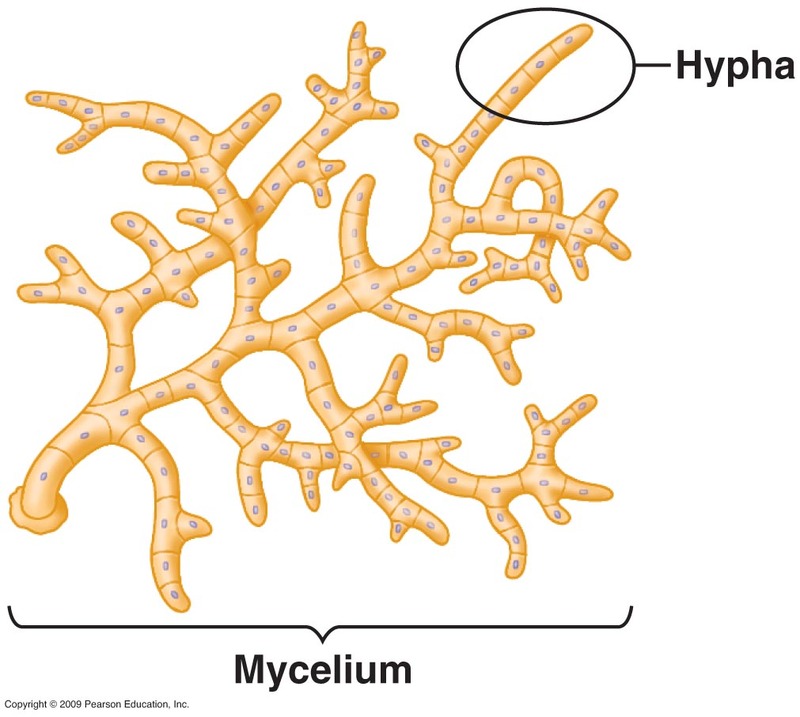 Multicellular fungi such as Mucor are often organised into a mycelium, a mesh of thread-like structures called hyphae. Each hypha is a structure containing many nuclei. Some fungi such as the yeasts used in the brewing and baking industries are single-celled. This is the least interesting of the 5 Kingdoms (which is saying something…..) Protoctists are all single celled organisms but unlike bacteria they are made of eukaryotic cells: cells with a nucleus and organelles like mitochondria and chloroplasts. 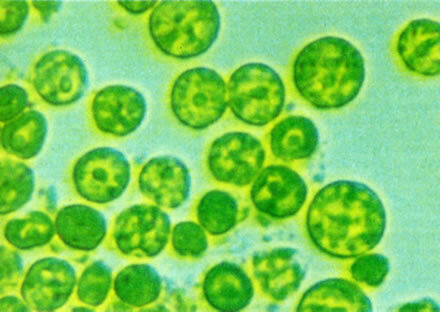 Some protoctists like Amoeba share many features with animal cells while others like Chlorella are more plant-like and contain chloroplasts to photosynthesise. 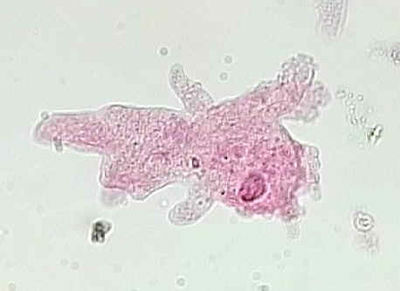 Some protoctists are pathogenic for example Plasmodium, the single celled organism that causes the disease Malaria. An Amoeba cell on the left and some Chlorella cells on the right.